Traditionally, patients have chosen doctors and health care providers based on referrals – and many still do! But many, many more are searching online for reviews, information, and specialties before scheduling an appointment. 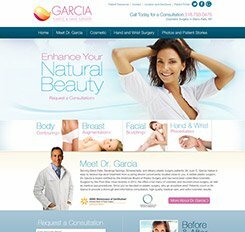 Excellent medical websites clearly state what care is offered – by whom – while also presenting an inviting and informative environment for learning more about medical specialities and conditions. In this way, your website builds the first layer of trust with your patients. 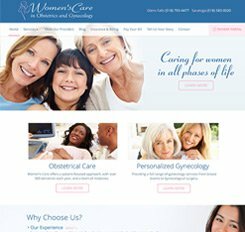 Mannix provides SEO friendly medical practice website design services to help capitalize on future patients who are searching for their symptoms or conditions and to increase traffic to your site. All of our new sites are developed using responsive design to ensure that your medical practice and expertise stand out in both desktop and mobile searches.